A trailer and poster have arrived for the upcoming release of the adaptation of Daniel Woodrell's novel. Julia Garner is a young star who has impressed us with notable performances in indie faves like We Are What We Are, Electrick Children and Martha Marcy May Marlene. Headlining an adaptation of a novel from Winter's Bone author Daniel Woodrell, could Tomato Red give her career a Jennifer Lawrence style boost? Directed by Juanita Wilson and also starring Jake Weary, Anna Friel and Nick Roux, Tomato Red is in UK/ROI cinemas March 3rd. 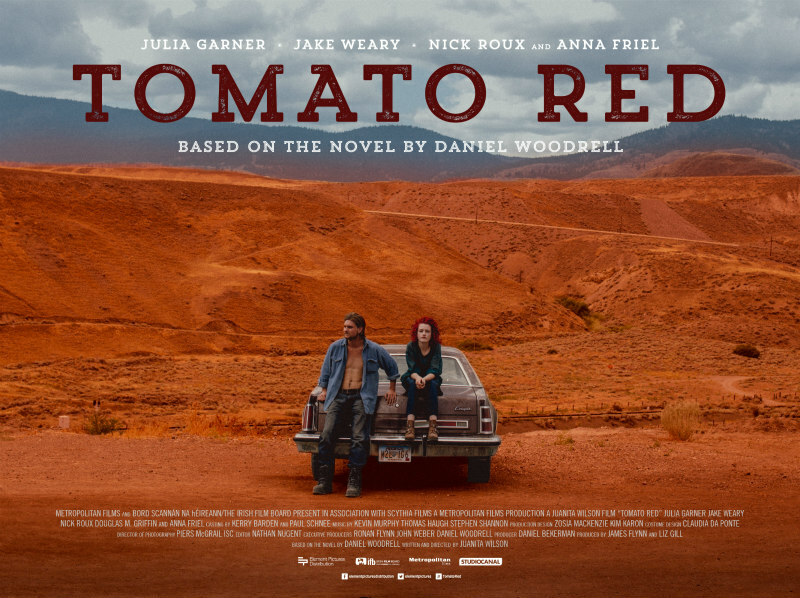 Based on the acclaimed novel by Daniel Woodrell (Winter’s Bone), TOMATO RED tells the story of small town drifter and street philosopher Sammy Barlach (Jake Weary) on the search for his next cold beer and the bunch that'll have him. Love, rage, redemption and revenge - TOMATO RED is an original and moving film about the struggle to get a break and our deep-seated need to belong. TOMATO RED also stars Anna Friel and Nick Roux.